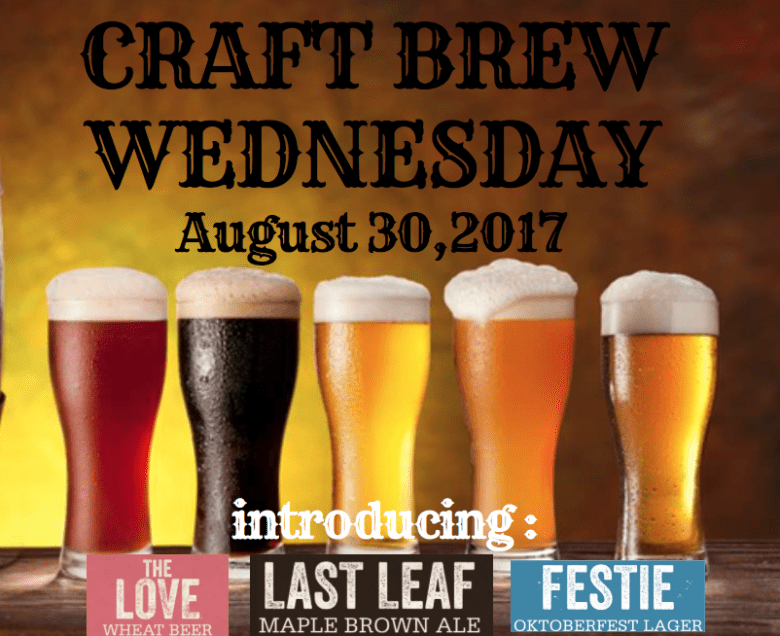 Come join us at our Craft Brew Wednesday Fall Kickoff Event on August 30th with our friends at Starr Hill Brewery to introduce their Last Leaf Maple Brown Ale, Festie Oktoberfest lager, and The Love wheat beer! You don’t want to miss it! !